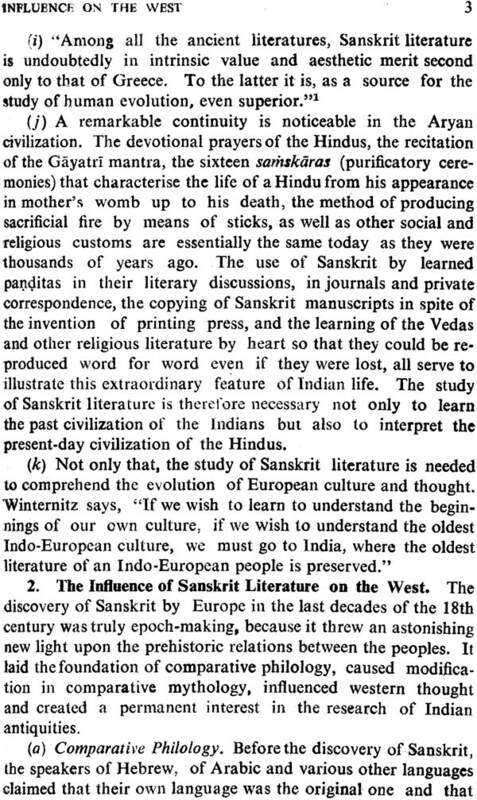 It is an irony of things that though Sanskrit literatures is a product of Indian mind, very few Indians have attempted the history of it, with the unfortunate result that in order to know how we look, we have to use some one else's spectacles! Of the few such histories written by Indians, the present one by H.R. Aggarwal has long been acclaimed as one of the finest and the handiest. 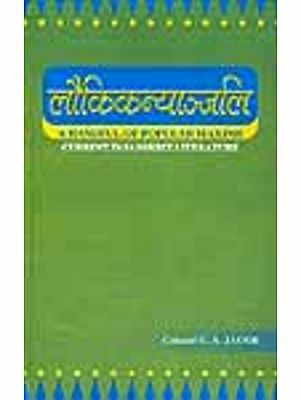 In this second revised and enlarged edition of the book, the author, backed by several years of his practical teaching experiences, has solved many of the difficulties which generally confront the students in understanding the subject. Analytical in approach, direct in presentation and graceful in style, this edition makes the subject easier and more attractive. 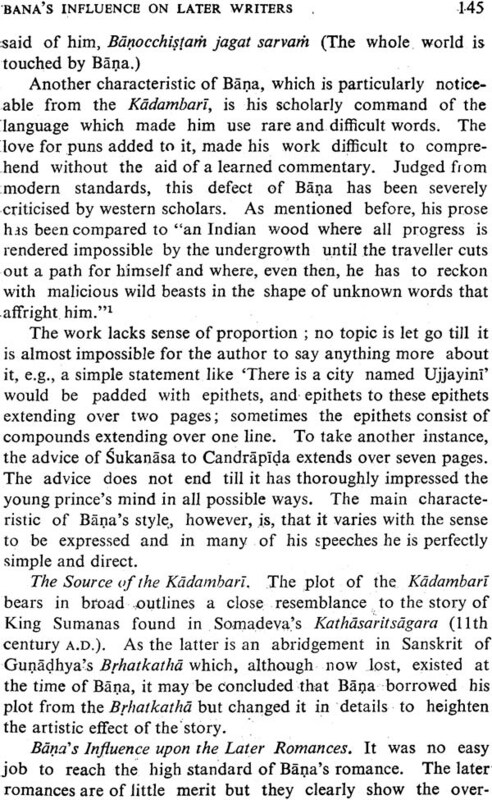 Avoiding all quibbling and hairsplitting which are a common feature of histories, the book, true to the dictum of Mallinatha, includes all that is important and leaves out all that is unimportant to the students. Nagari knowing readers, the same is shown in Nagari script in an appendix for the convenience of the student. In short, this is a book which in indispensable to student and a 'must' for the libraries. 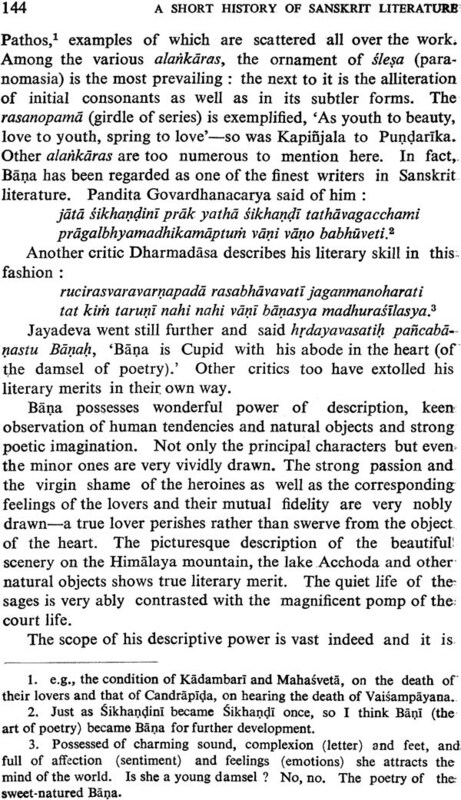 Sanskrit Literature is vast and comprehensive. Its period of literary activity is longer than the period of literary activity of any other literature in the world. In intrinsic merit it is second to none. History is supposed to be the only weak spot. As far as political history is concerned, the alleged weakness is not quite apparent. 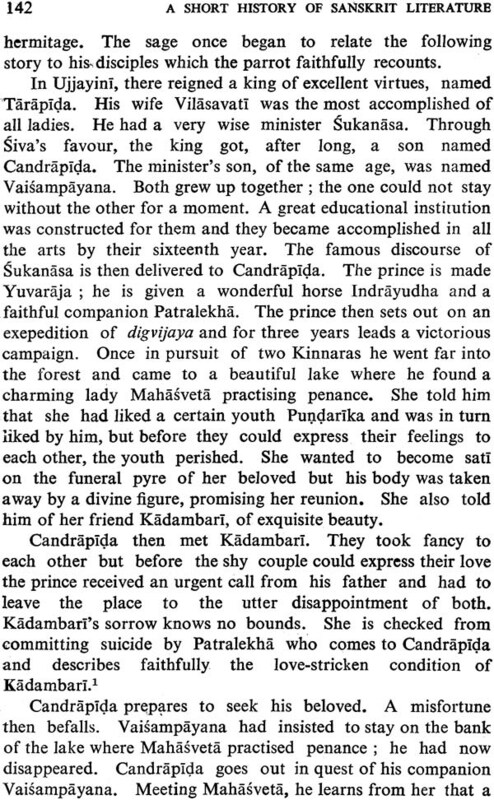 Kalhana, the author of Rajatarangini has stated that he utilized eleven previous histories for writing his own famous chronicles of the kings, and he found numerous histories in the royal archives which were eaten by worms and had become illegible and could not therefore be utilized. 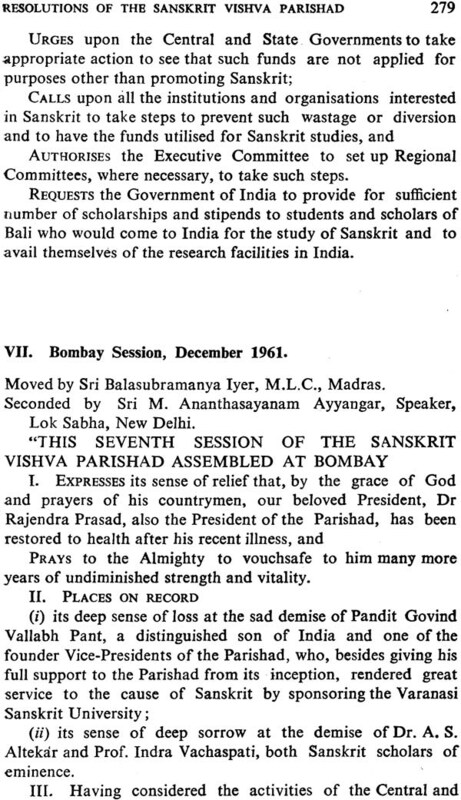 This statement of Kalhana clearly sows that political histories were written in Sanskrit. 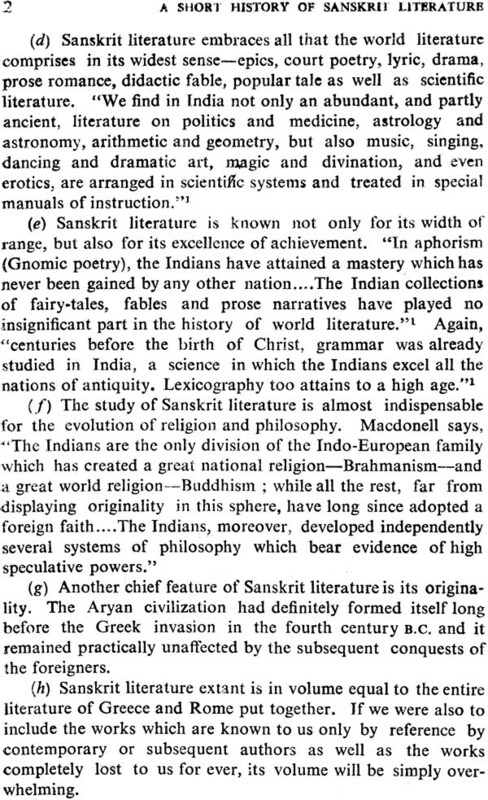 But, so far as history of literature is concerned, there is no evidence to show that any history of Sanskrit literature was ever written in any Indian language. This is a modern western Indologists. 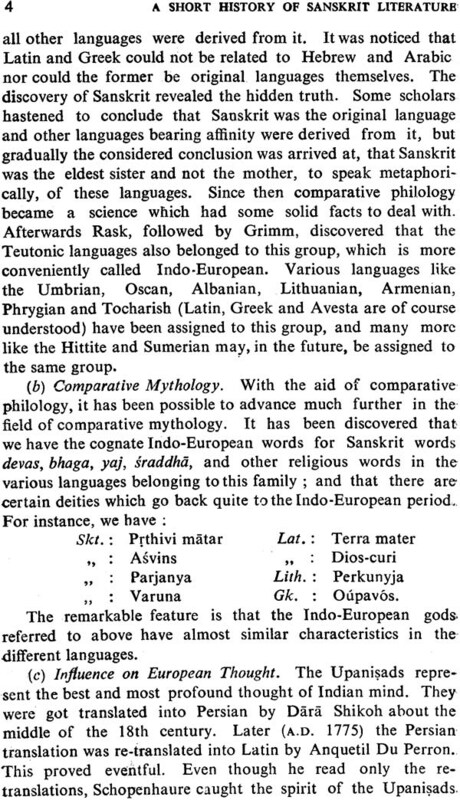 Most of the histories of Sanskrit literature are written by European and American scholars. It is, however, obvious that foreigners, howsoever cultured, cannot thoroughly appreciate or deeply enter into the spirit of the literature of a race or community which differs so widely in civilization, culture, philosophy, art and outlook on life. Literature of a race or community is the outcome of heredity, environments, geographical situation, climatic conditions and political institutions. It is, therefore, a difficult task for a foreigner to interpret accurately the literature of another race or community. It is time that Indians themselves wrote histories of their own literature and themselves interpreted the underlying spirit thereof. 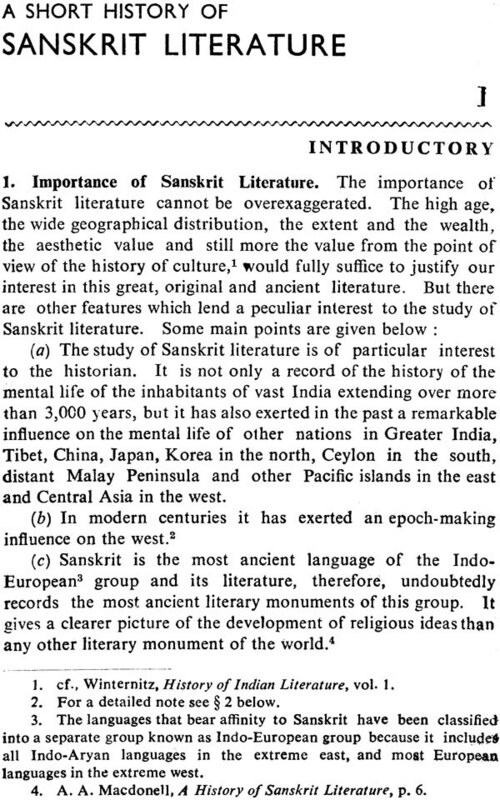 On this ground alone, I should welcome this History of Sanskrit Literature written by Mr. H. R. Aggarwal, M.A. Mr. Aggarwal is a scholars of repute and a Fuller Exhibitioner and Gold Medallist of the Panjab University. It is a happy sign of the times that Indians have begun to take interest in the history of their own literature. He is the first Punjabee and I think one of the very few Indians to write a history of Sanskrit literature. 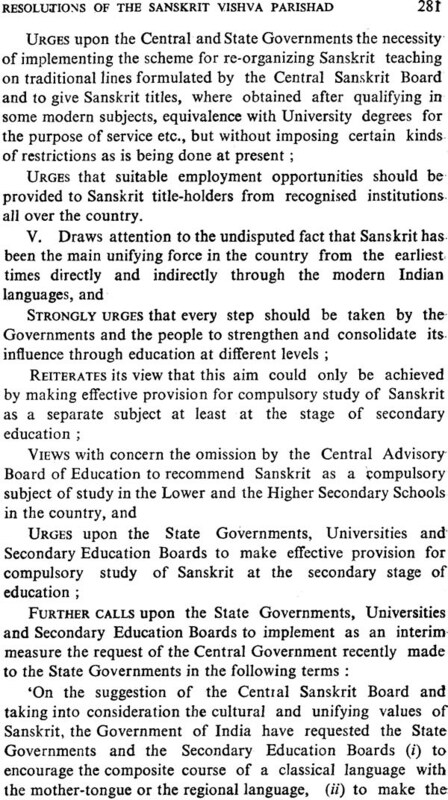 At present, there is no work available which may suit the needs of the undergraduate students and help them in the study of the history of Sanskrit literature, as most of the histories available are of too high a standard for them. This book has been specially written with a view to satisfying the needs of the undergraduates. He has taken great pains in writing this history, and I have no doubt that this will eminently serve the needs of those for whom it is intended. 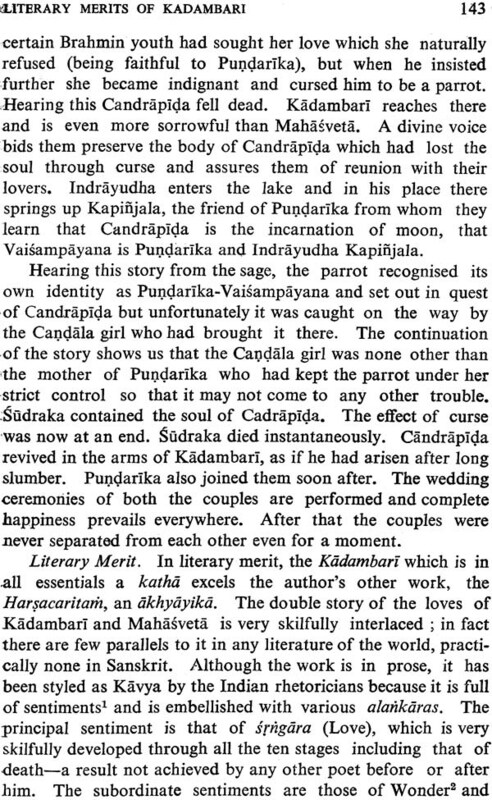 History of Sanskrit Literature has been my special subject. Even while I was a student of the IV Year class I wrote the following in the college magazine. ought to be grateful to these western scholars although it is true that they did not labour for our sake. "We find some works on the history of Sanskrit literature by Indians as well, but sorry to say, that they see to have taken no pains in their compilation. They have thought it proper to follow the western scholars without going through the original texts or even doubting the truth of their writings. "Even Indian scholars like Mahesh Prasad B.A. and M. Chakravarty M. A. have been misled by this credulous nature of theirs and have committed the same mistake in their works simply because they followed Macdonell. This book is intended for the students appearing in the B.A. and B.A. Hons. Examinations of the various Indian universities. Several years of practical teaching experience of the subject has enabled me to visualize somewhat the main difficulties of the Indian student and I have tried to solve them here as far as possible. important from the point of view of students. whom I have consulted in the preparation of this book and have specifically acknowledged in the footnotes. My special thanks are due to my revered teacher Dr. Lakshman Sarup, M.A., D. Phil., Officier D' Acadamie, Professor of Sanskrit, University of the Panjab, Lahore, at whose feet I sat and learnt much that is contained in this work. I am also deeply indebted to him for his having taken pains in writing the Foreword to this work. Do the Plays attributed to Bhasa belong to the Same Author? Renaissance of the 1st Century B.C. Subject-matter - Recensiona - Accent - Metre.